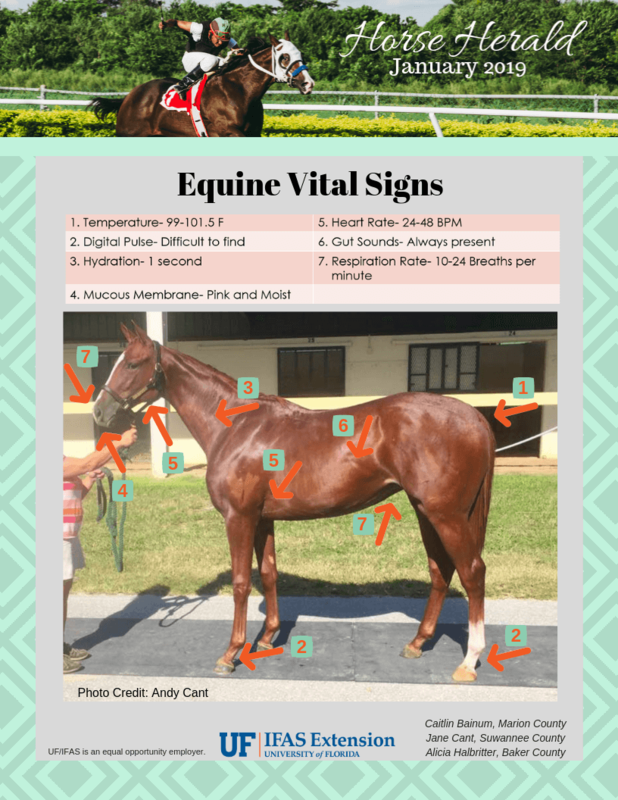 Equine Vital Signs- What is Normal? Knowing what is normal for your horse can help you circumnavigate a health disaster, from founder to colic. But what is normal for an adult horse? The January 2019 edition of the Horse Herald covers normal vital signs for adult horses. However, it is important to monitor your horse in a healthy condition as well, as like humans, all horses can vary. ← What Makes 4-H So Great?